Mix white cake mix, egg whites, oil, water and sour cream for three to four minutes on medium speed. 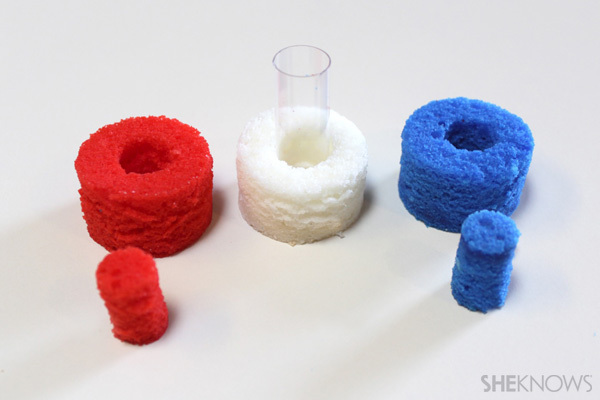 Split cake batter into three equal amounts, adding red and blue food coloring to two of the portions. Coat three, 4 x 9-inch bread pans with cooking spray and lightly flour the bottoms. Add the three batters to the pans and bake at 350 degrees F for 18-23 minutes. Allow them to cool and remove from pans. 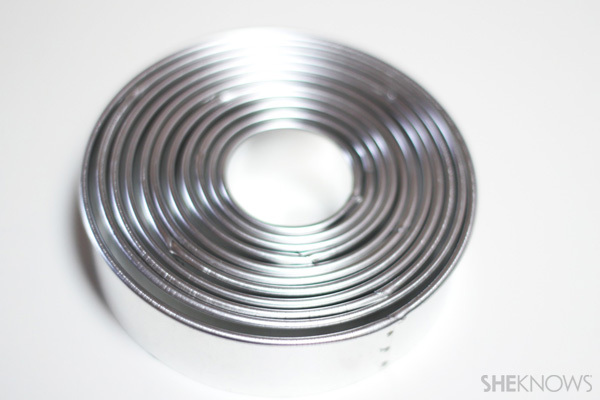 Using a 1-1/2-inch round cookie cutter, cut circles from each of the baked cakes. 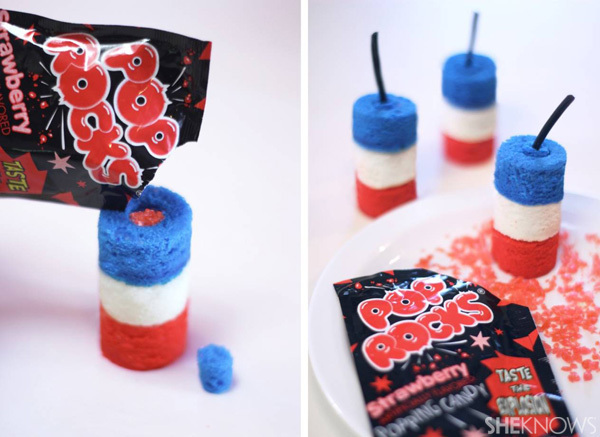 Guaranteed to be the most POPular dessert at your 4th of July party, these Pop Rocks-filled treats will surprise everyone’s taste buds. Made with a dense, sponge-cake-like recipe, the colored cakes stack nicely and hold together with just a dab of frosting. I got 10 out of each cake, but you might be able to get more if you try. 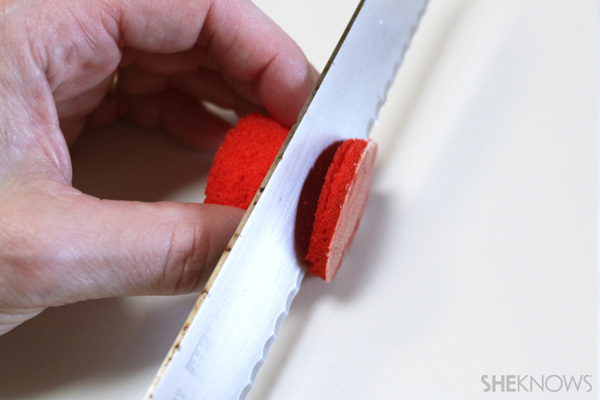 Using a serrated knife, carefully trim off the browned, baked bottoms of each cake circle. Using a jumbo straw or plastic tube (one-half or three-quarters-inch in diameter), remove the centers of the cake circles. Be sure to save the red and blue centers to use as plugs for later. 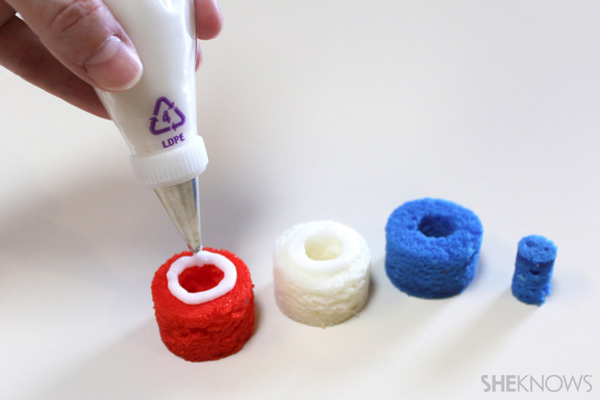 Put a portion of the red cake plugs back into the bottoms of the red cake circles. Pipe a line of frosting around the centers of the red and white cake circles. 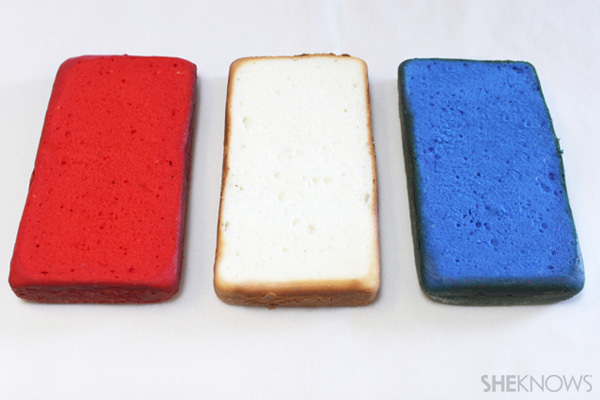 Stack the white cakes on top of the red cakes and the blue cakes on top of the white cakes. 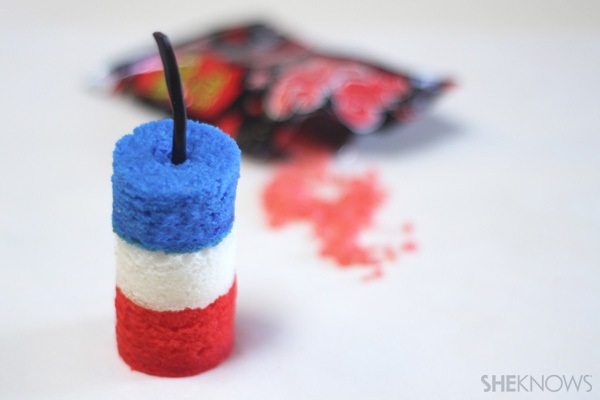 Add Pop Rocks down the hollow centers of the stacked cakes. 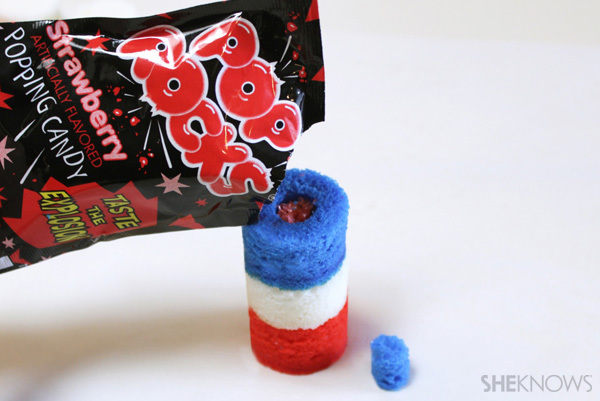 Put a portion of the blue cake plugs back into the tops, covering the center filled with Pop Rocks. 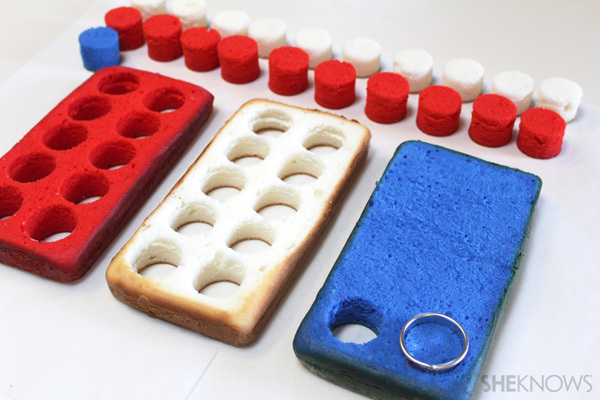 Cut licorice rope pieces approximately 1-1/2 inches long and insert them into the centers of the blue cakes. 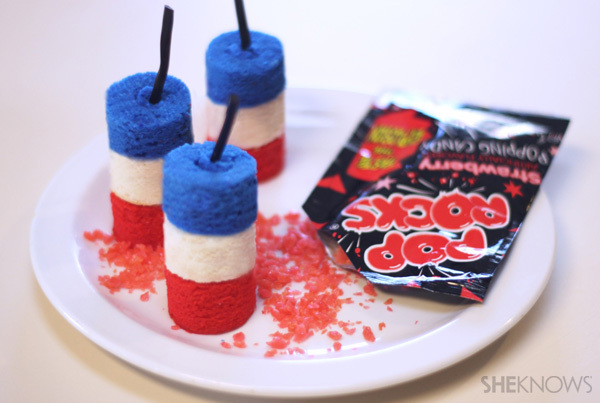 For maximum popping potential, pour the Pop Rocks into the cake centers no earlier than one hour before serving. The moisture in the cakes will cause the Pop Rocks to slightly snap and crackle on their own. In fact, they make a great sizzling sound on the plate. But after about four hours the Pop Rocks lose most of their popping power, so plan accordingly. Yields 10-14 cakes.